On the 9th of January ’13, curtains finally came down on the process that began on the 25th of July ’13. Of identifying and rewarding the unsung heroes of Indian Transport. 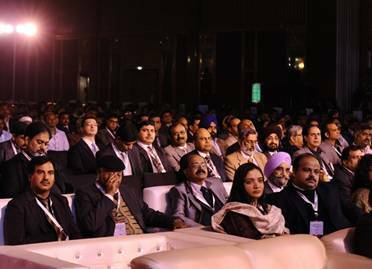 Those in our ecosystem who live by the principles of RISE, those who demonstrate the RISE pillars of ‘Accepting No Limits’, ‘Alternative Thinking’ and ‘Driving Positive Change’, in their day to day work. Many individuals from across the country were part of the big awards. 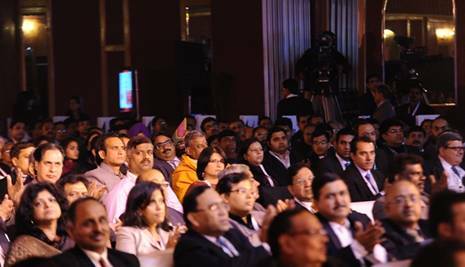 And with 2780 entries, 60% more than last year, each screened by the Experts and Jury members, the awards truly became bigger than ever. 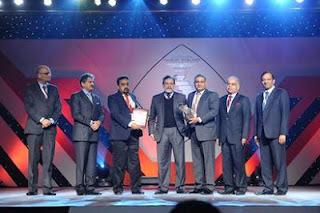 Mostly because the awards have never been confined to bigwigs like fleet owners. 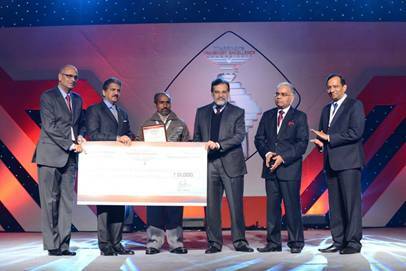 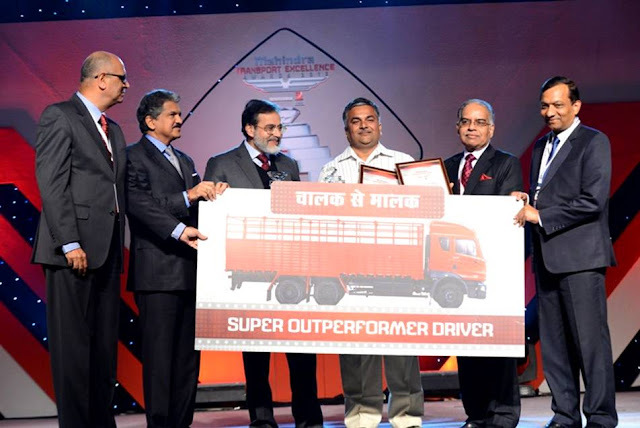 Various people from the trucking industry, like fleet drivers, dhaba owners and even highway mechanics, stood a chance to win from the categories of Fleet Owners, Fleet Drivers, Dhaba Owners, Highway Mechanics, Customized Application Builder and Driver Training Initiative. 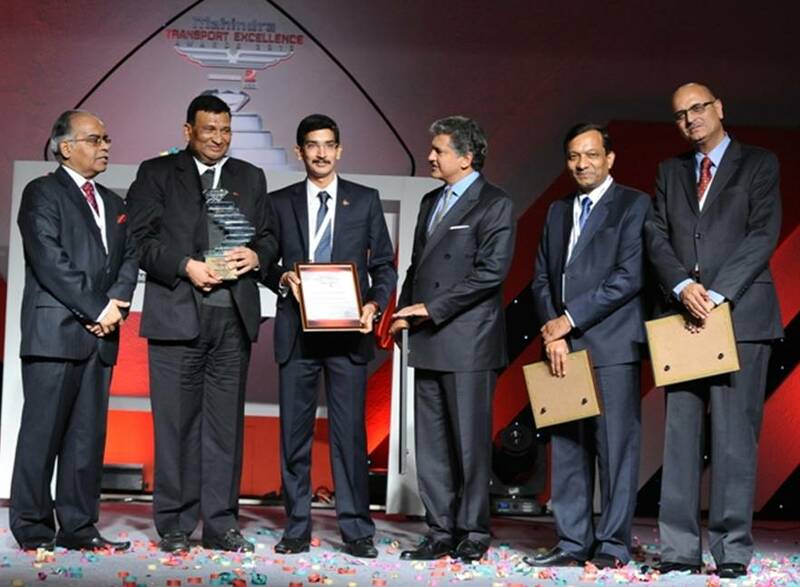 And while each category award created much enthusiasm, the most was caused by the ‘Lady Transporter’, ‘Youth Transporter of the Year’ award and of course, the Super Outperformer Driver. 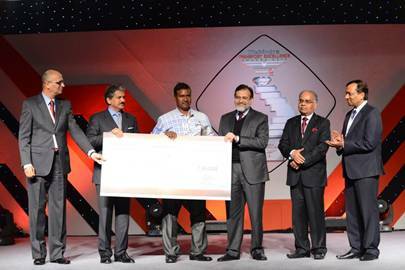 Where we gave away a brand new truck to the winner. In all, the night gave the trucking Industry 38 new winners. 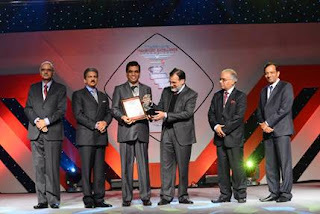 28 regional and 10 national. 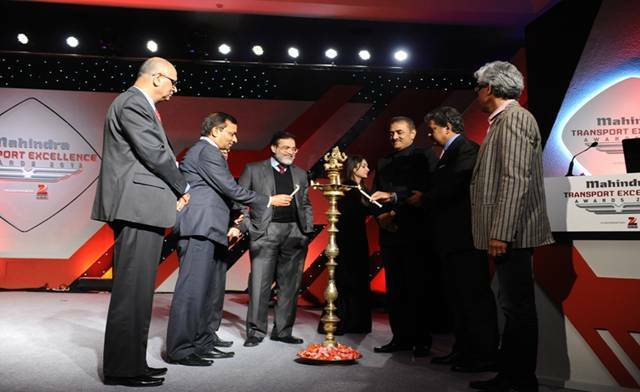 We began the night with the lamp lighting ceremony by Shri Praful Patel, Mr. Anand Mahindra, Mr. M. F. Farooqui, Secretary of Ministry of Heavy Industries & Public Enterprises, Mr. Ambuj Sharma, Joint Secretary, Dr. Goenka, Mr. Nalin Mehta and Mr. Bhaskar Das, Group CEO, Zee Network followed by Dr. Goenka’s welcome speech. Mr. Patel spoke eloquently about the successes of our group, the vital role we have been playing, the importance of these Awards and how both have touched the lives of so many people in the transport world. This was followed by Mr. Mehta’s presentation that took the audience through the highlights of the entire Awards process. 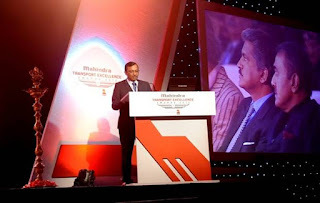 He stressed upon the fact that the Awards this year are more rewarding with three new categories and also bigger and better, with 2780 entries, 60% more than last year! 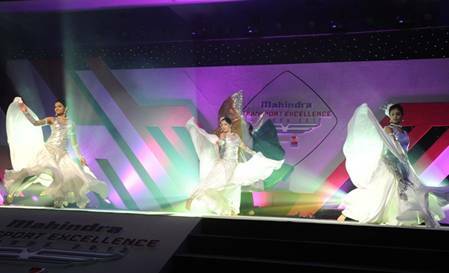 Performers from the ‘Sadhya’ Troupe brought alive the three pillars of RISE through a scintillating act. 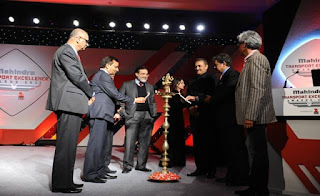 While Zee emcees held the show together and enlivened it with interesting anecdotes. 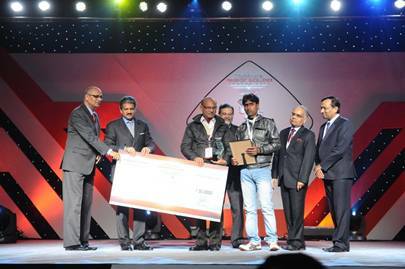 Moreover, the live band gave the winners a musical applause as they walked up to the stage. 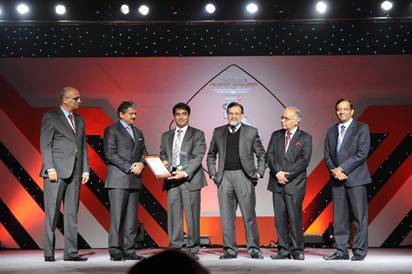 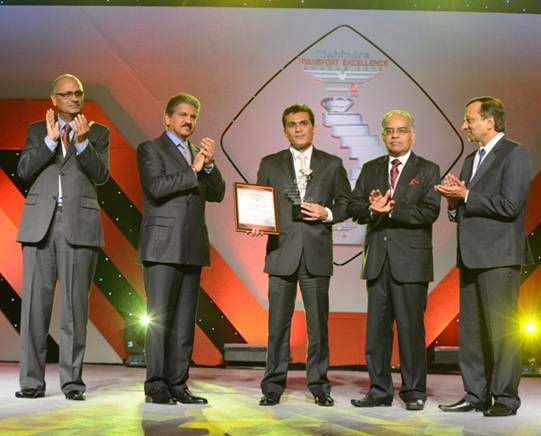 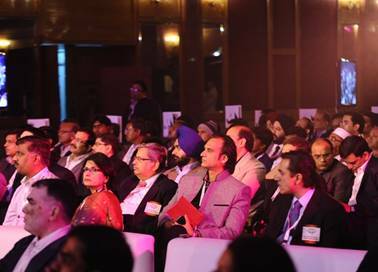 Over 650 invitees attended the Awards Night: Key Account Customers, Financiers, Jury Members, Winners, Nominees, Agency Heads & Teams, Dealers and Mahindra team members. 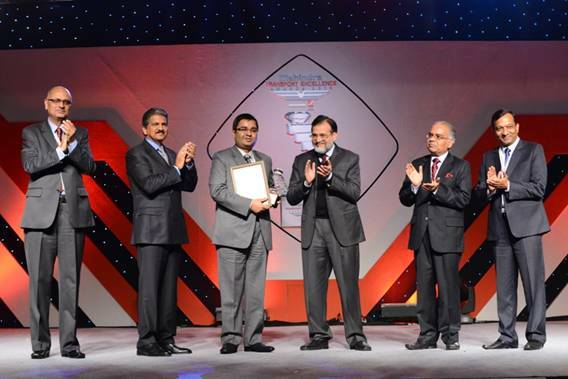 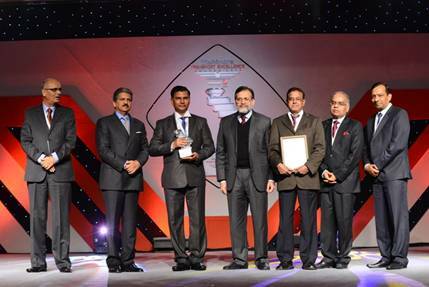 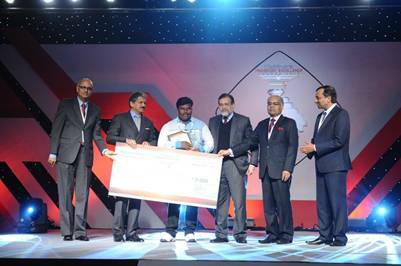 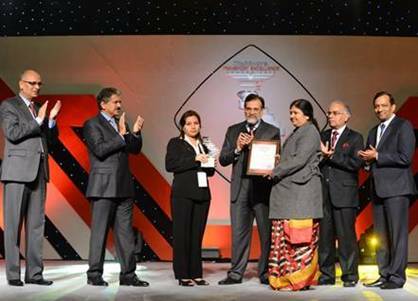 The next set of awards was for the Dhaba, Mechanic and Driver Category – the troika of the Transport Lifeline! This was our tribute to the unsung heroes of our industry, who work like a lubricant does for an engine. The Dhaba winners who were recognized at Awards were all those who had excelled in providing great service and facilities to their customers, the drivers, in addition to fabulous food – a home away from home. 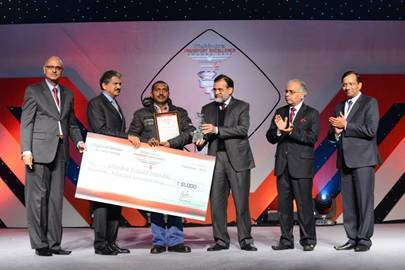 The Highway Mechanics who qualified to win at the awards had all gone beyond the ordinary to support the distressed truck on the road. 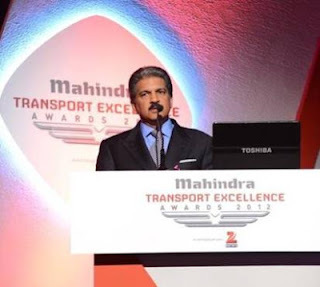 Drivers, who move the wheels of our industry contribute in a big way, every time they get behind the steering wheel. The ones who won the award had done even more to reach here! 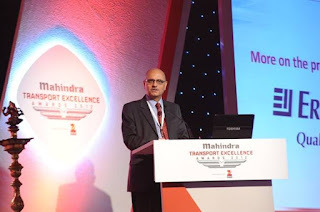 Mr. Shiv Prasad, a fleet driver with M/s. Artee Roadways Ltd. was the proud winner of the Super Outperformer Driver Award. 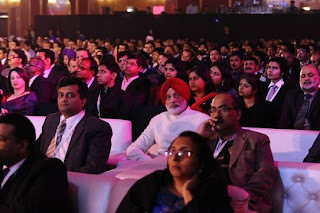 Having saved Rs. 12 Crores in a year for his transport company through a simple innovation of introducing an aerodynamic element to the roof of his truck. 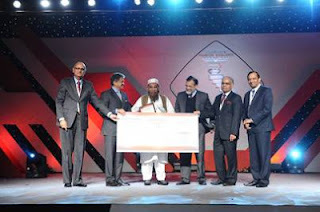 Because of this he won a brand new MN25 from our ‘Chalak Se Malak’ initiative. 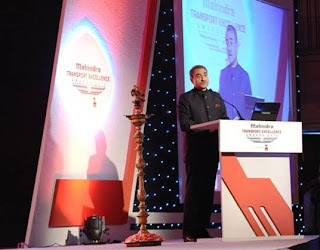 Fleet owners invest their fortunes and life to battle the vagaries of Indian transport. Thus making them a true unsung hero. 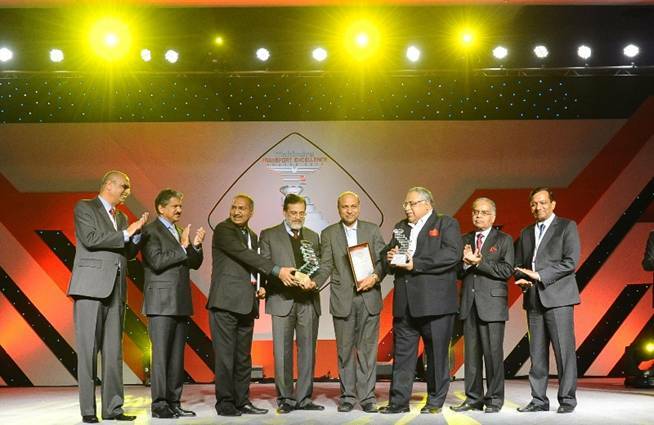 Those who won at the awards were true examples of those who follow the pillars of RISE! The biggest attractions at this year’s edition was the new and unique category, Lady Transporter and Lady Transport Personality of the Year. 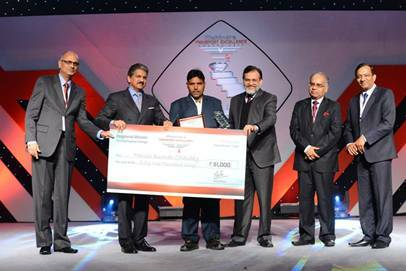 A pioneering initiative, where we acknowledged the efforts of those who dared to enter this male bastion…and made a difference! 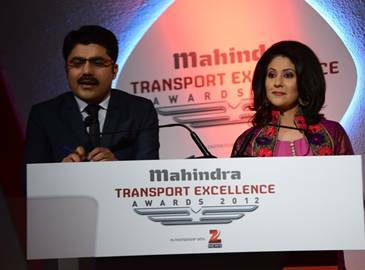 We had introduced the Youth Transport Personality category in the inaugural edition. 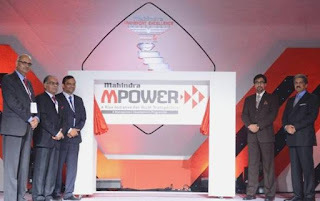 This year 297 candidates applied. 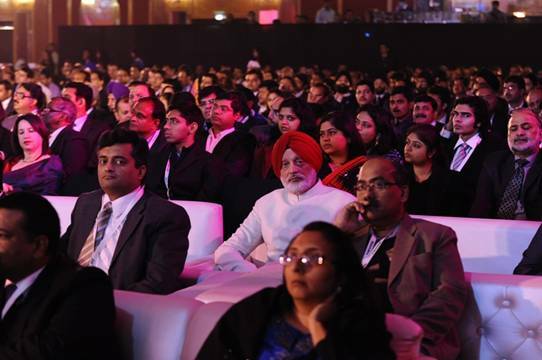 Almost double the numbers of last year. Not just an encouraging sign, it also shows that we are well on our way to connecting better with the next generation of trucking. 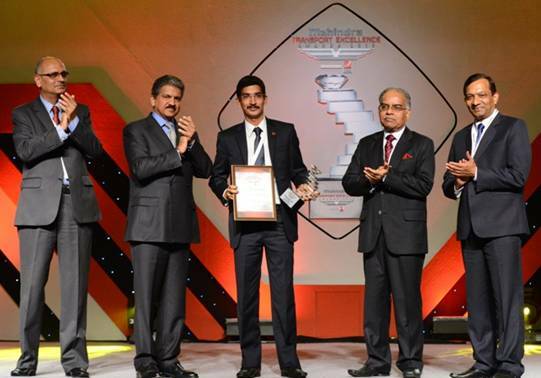 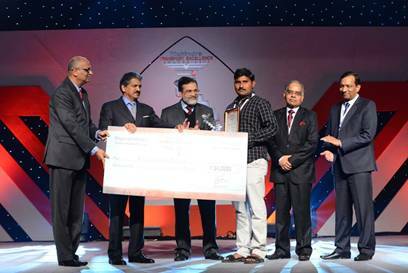 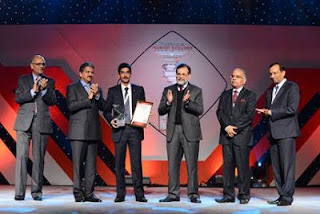 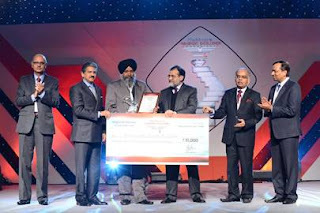 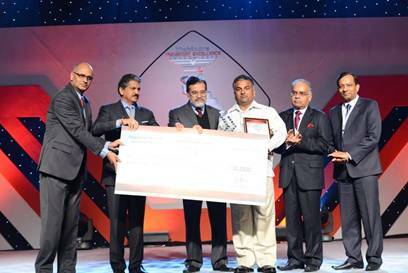 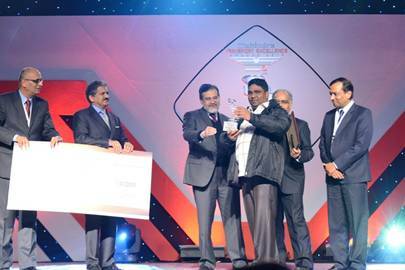 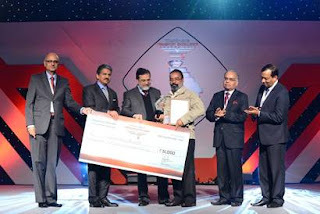 It was heartening to witness, Mr. Deepak Baid, of Siddhi Vinayak win the Youth Transport Personality of the Year Award. 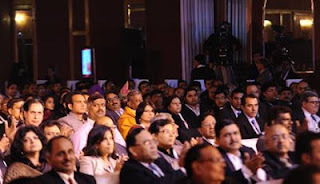 A beaming Deepak came to the stage along with his father, reminding us of the ‘Papa ka Business’ story! 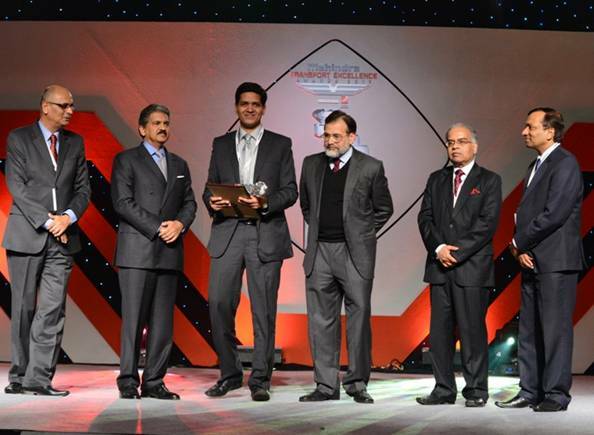 Mr. R. C. Baid’s picture of him holding his son’s trophy is worth more than a thousand words. The Award’s philosophy was very aptly summarized by Dr. Goenka who said in his speech, “We are keen that we also focus on what is traditionally called the softer aspects – building a place in the minds and hearts of people from our ecosystem. It is here that the Mahindra Transport Excellence Awards plays a role.” Nothing brings alive this thought more than the group photo below. 38 Outperformers who chased excellence with those who believe in rewarding this top order attribute. 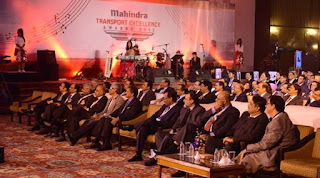 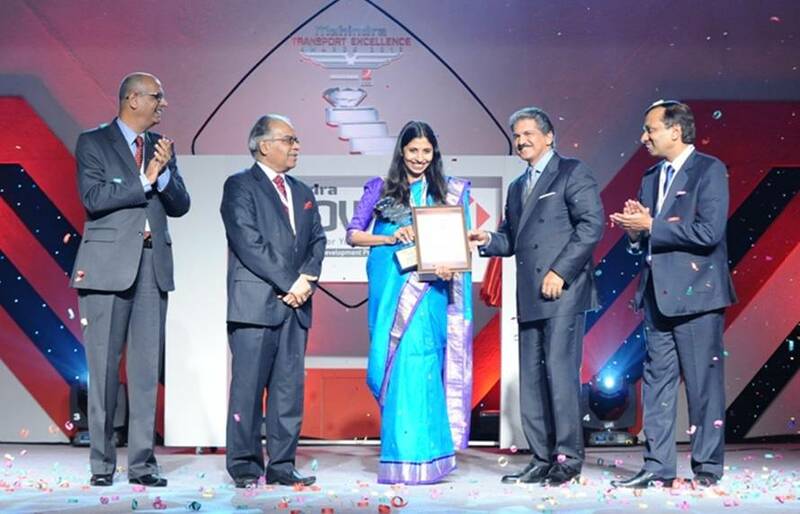 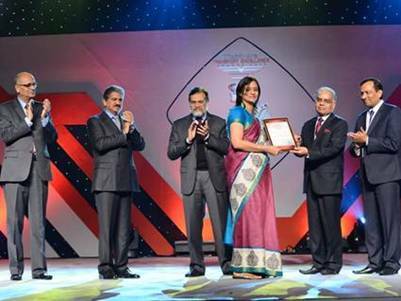 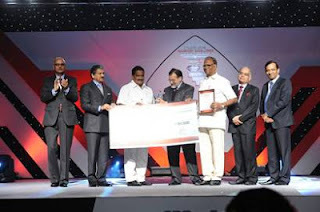 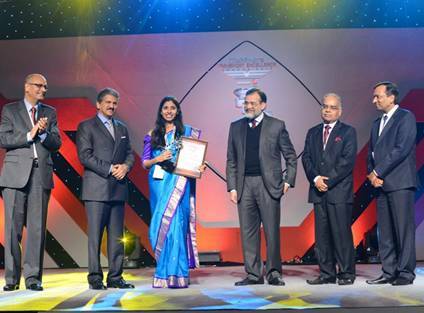 The Mahindra Transport Excellence Awards is an initiative that emotionally connects with us. As it helps build a strong bond with the Indian Transport industry. 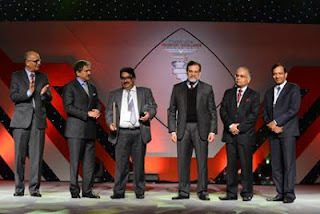 After the successful conduct of the awards this year, which touched many more stakeholders and evoked strong and enthusiastic participation, we stand committed to come back soon with an even bigger and better Award – the third edition.